Getting contacts out of locked iPhone seems to be a daunting task. None of us would ever like to be in such situation. But if in case you're, don't get discouraged. There are ways through which we can export the contacts and get them back while the iPhone is locked due to any reason. We will here introduce some ways through which you will be able to know how to get contacts out of locked iPhone under different scenarios. So, if you have gotten into this trouble and want solution, keep on reading the article. If you want to get photos out of locked iPhone, you can read this article. If you have synced your iPhone with iTunes previously, you can follow this method. Check out the steps. Connect your iPhone with a USB cord and enter the main interface. Now, click on the device icon from the top and head to 'Summary' tab. Lastly, hit on 'Back Up Now' and all your data including contacts will be backed up by iTunes. For some devices, this method may not work since some devices will still be required to be unlocked when backing up. Anyway, we recommend that you have a try. You can export contacts from your iTunes backup that you made before your iPhone get locked. For this, you will need a tool that you can easily use. For its 100% reliability, we recommend you iMyFon D-Port. 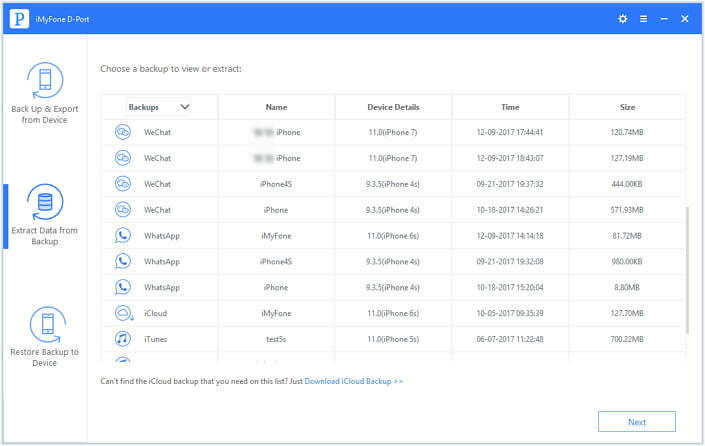 This tool supports to export 18+ types of data out of your iPhone, iTunes backup or iCloud backup. Moreover, it can also backup your iPhone selectively. Let us move to the tutorial now. Step 1 – Start with visiting the official website of iMyFone D-Port and download it from there. Launch it after installing it and click on 'Extract data from backup' tab from the left panel. 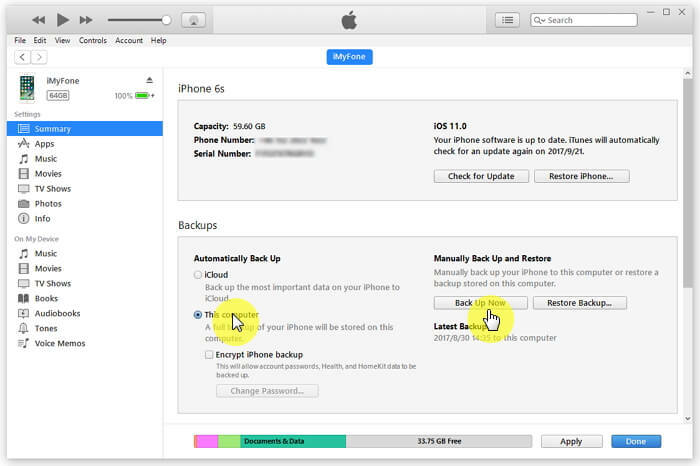 Step 2 – You will now see a list of backup that contain your iTunes, iCloud and iMyFone backups. Choose one iTunes backup file that contains the contacts your need. Afterwards, click on 'Next' to get the backup scanned. 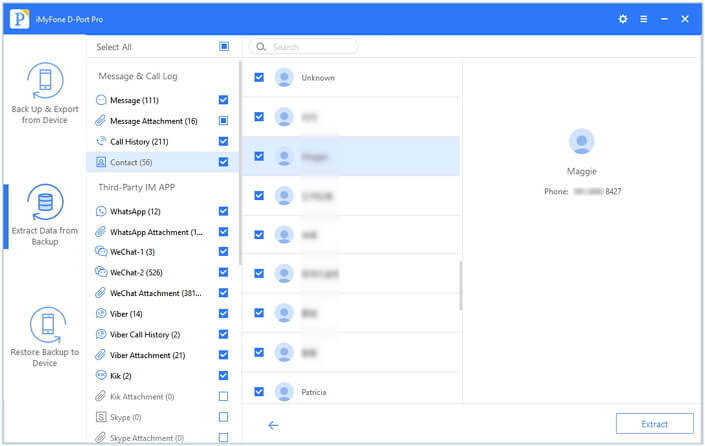 Step 3 – From the next screen, select the 'Contact' option from the list of data types. Hit on 'Next' button now and your contacts will star getting scanned. Step 4 – At the end, you can preview your contacts once. Select the ones you need and hit on 'Extract' to complete the process. This is how to get contacts out of Locked iPhone from iTunes backup using D-Port. Exporting contacts from iCloud can help you if your device isn't synced with iTunes ever. 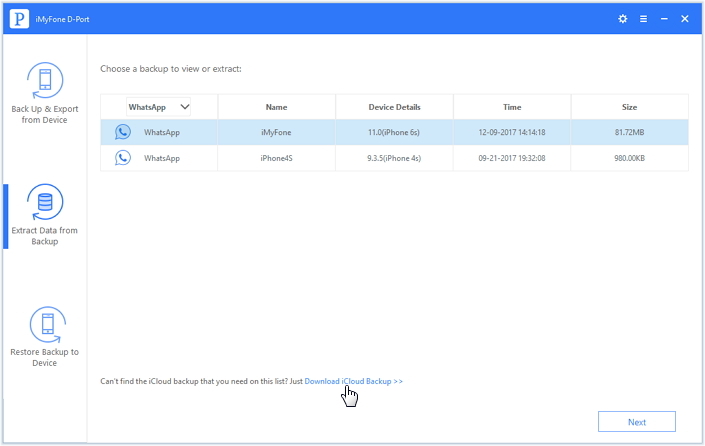 As we stated above that the tool iMyFone D-Port can export your data from iCloud backup too, so here we will provide you the guide for that. 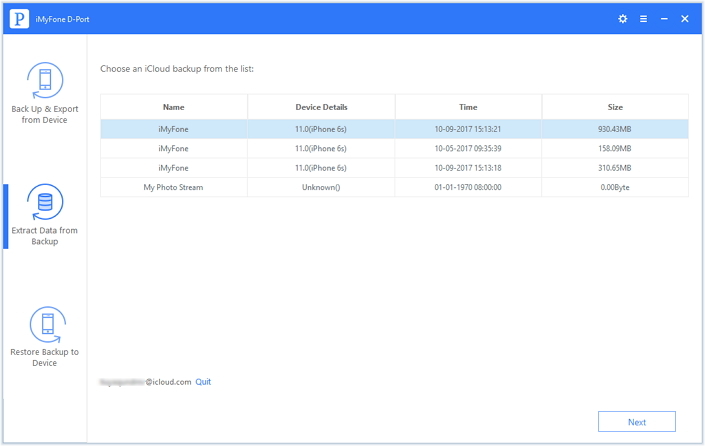 Step 1 – Launch iMyFone D-Port and click on 'Extract Data from Backup' option as what we did in the beginning of above tutorial. Again you will see the backup list. If you don't find the desired iCloud backup, hit on 'Download iCloud Backup' option just below the list to download it. 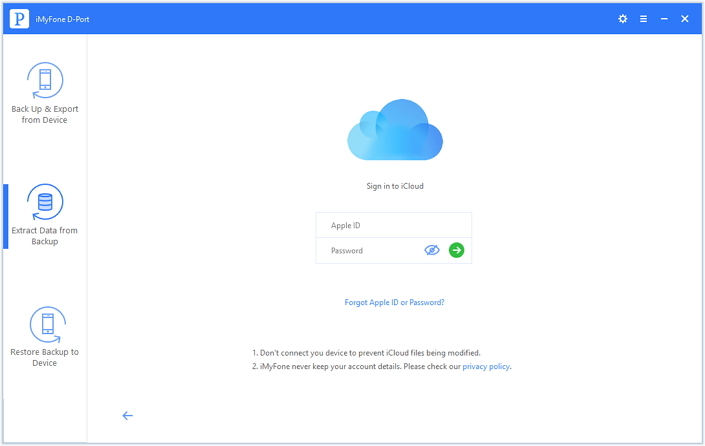 Step 2 – As the second step, you are required to log in to your iCloud account to download the backup. Start typing in your iCloud credentials and you will be able to see your iCloud backup files now. Step 3 – Choose the one you need and hit 'Next'. As soon as you do this, you will get the list of data types on the next screen. Select 'Contact' from there in order to export it. Step 4 – Hit on 'Next' to get it scanned. 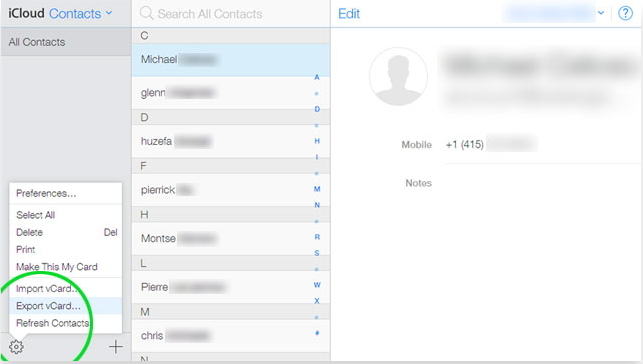 Once scanning is done, preview your contacts and select those you need. Finally hit on 'Extract' button and get the process completed. Another way to get contacts out of locked iPhone when iPhone is not synced with iTunes is to log into iCloud on iCloud.com. But this method will only be helpful if you have enabled contacts in your iCloud settings on your locked iPhone. Ensure you have done that before carrying on the method. Start with opening the web browser and visit iCloud.com on your PC. Enter the Apple details to login your iCloud account. 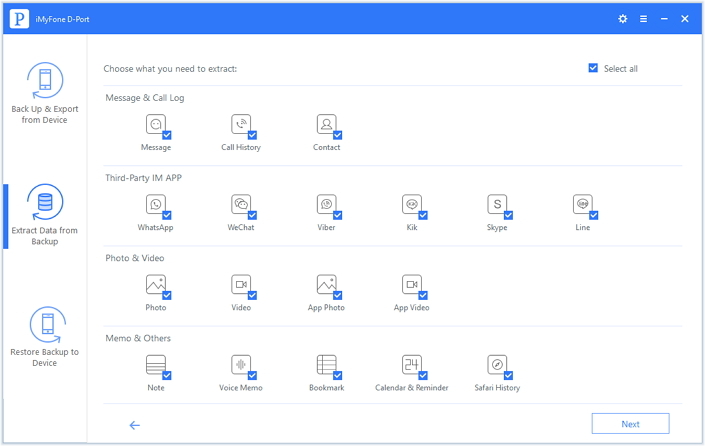 Hit on 'Contacts' from the various options given on the main screen. Get to the gear shaped icon which indicates Settings. It is located at the bottom left corner. Hit on it followed by clicking on 'Select All'. Again hit on Settings button and choose 'Export vCard' and this way you will get contacts exported to your computer.